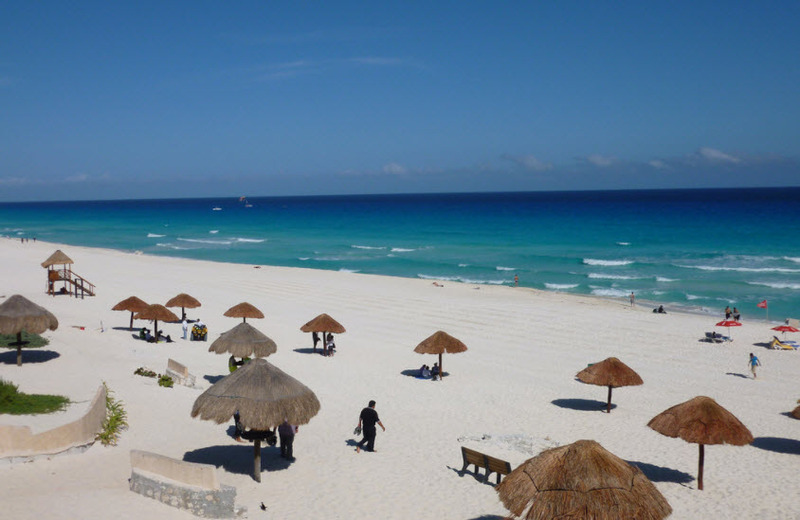 One of the most popular long-haul holiday destinations for families has to be Cancun, Mexico. Not only are you greeted with powdery white beaches and incredibly sunny weather, but there are also hoards of activities to do and endless delicious Mexican food to be enjoyed. TUI offers loads of gorgeous hotels throughout Cancun, giving you so many places to choose from when it comes to booking your holiday. Whether you are looking for family holdiays to Cancun, or a romantic couples holiday, TUI has it covered. How's the weather in Cancun, Mexico? The first thing you should know about Mexico is you are pretty much guaranteed good weather. Their average temperature doesn't drop lower than 23 degrees and that's in January! If you are a sun worshiper, aim to book your holiday in June - September as that's when the heat really starts to warm up. As a family (especially if you have younger children) it might be worth going December - April. When is Hurricane Season in Cancun? Peak season for Cancun is between December and April, this is when the weather is near perfect and there is less risk of humidity and potential storms. The further into the Mexican summer is when stormier weather becomes more of a risk. Most of the time however it creates passing showers leaving you with beautiful sunshine afterwards. 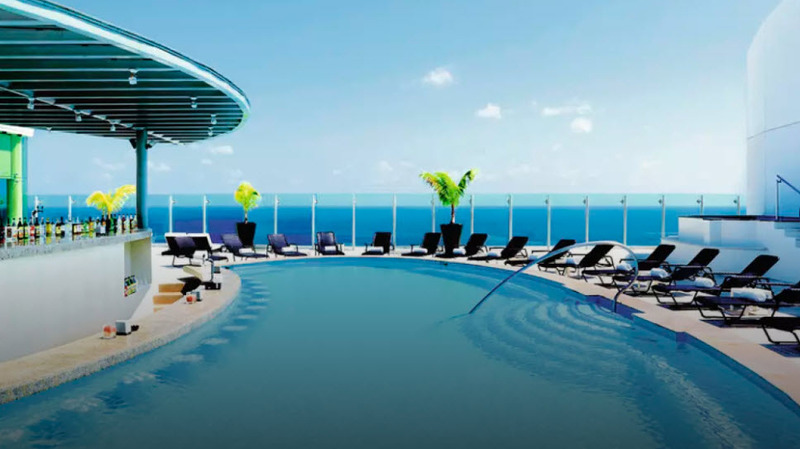 TUI have a stunning selection of hotels in Cancun, giving you loads of choices for your holiday. The area is renowned for its all inclusive resorts, so spending money whilst you are there isn't such an issue. Whether you are looking for fun packed family hotels or a relaxing, romantic couples break, TUI will have something to suit everyone. 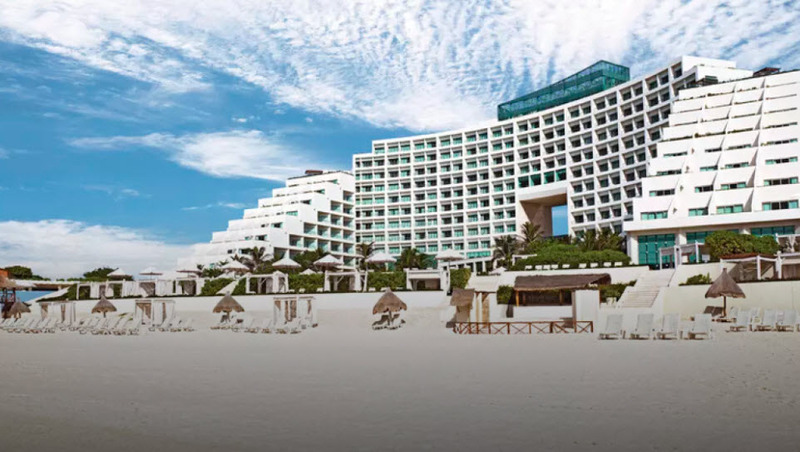 You can stay in the Hotel Zone of Cancun, providing you with all of the top bars, restaurants and shops or you can go a little further out, offering a more peaceful vibe. 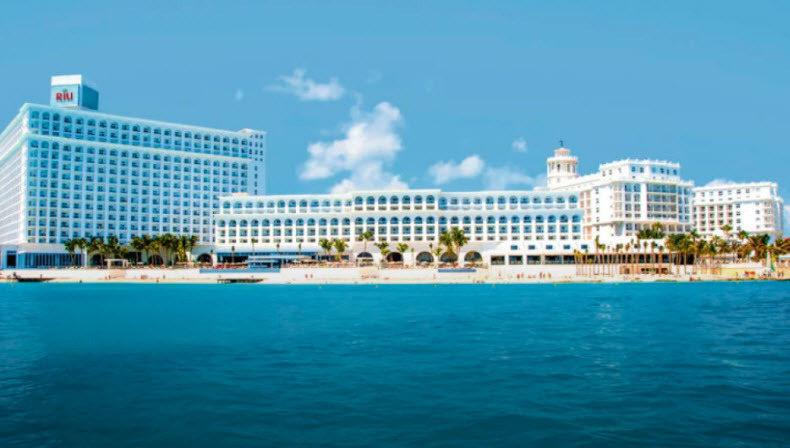 One of the most recommended TUI Cancun hotels for the family is the Beach Palace, Cancn. Not only is it sat on the beach but it's also opposite the Flamingo Mall and just a short 20 minute walk to the Cancun centre. You can also book yourself into a 2 bedroom family room with interconnecting rooms, giving you some time with your other half but just a room away from the kids. As an added bonus, the hotel also has a great water slider which will keep the kids entertained. The RIU Caribe is also another great hotel for the family. Also found hugging the beach, this hotel has four pools and so many water sports to keep people of all ages entertained. The great thing about the TUI hotels in Cancun is that they are all inclusive and each have their own kids clubs and entertainment programs. This will take all the pressures of budgeting on holiday and eliminate the worry about the on-going moans of 'I'm boorrrrred'. 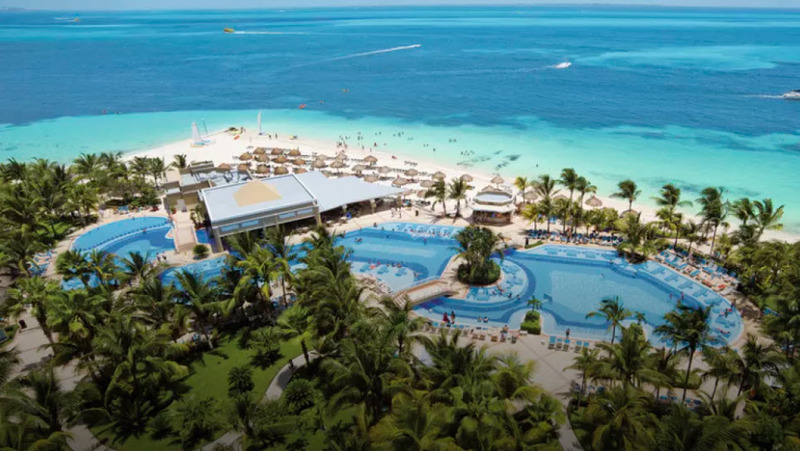 If you are wanting time away from the pitta patter of tiny feet, and excitable screams of teens, then you should book into the Live Aqua Beach Resort, an adult only hotel found in the bustling Cancun Hotel Zone. It has a great dining scene along with their Ego's bar which has house music playing for your entertainment. This along with their 5 outdoor pools and luxurious spa provides you with everything you need to relax in the day and party all night! RIU Cancun is all about entertainment, providing a Pacha nightclub and sports on tap. The one thing that jumps out about this gorgeous hotel is the variety of bars. You can enjoy a cocktail in your bikini at the swim up pool bar or a cool beverage whilst shooting some pool at the sports bar. Its location is pretty amazing too, as you are just 15 minutes from the night clubs and bars, opposite the main shopping centres and just a stone's throw away from the golf courses. What more could you want! The great thing about Cancun is its diversity. There is so much to do from gorgeous beaches to relax on to exhilarating zip wires to fly down. As a family, the first place we go on a day out is the water park! Fun for the whole family, something for everyone and it's a great way to let your hair down and enjoy yourself. For those who have been to Cancun before, Wet n Wild is now found in Ventura Park, so don't panic it's still there! 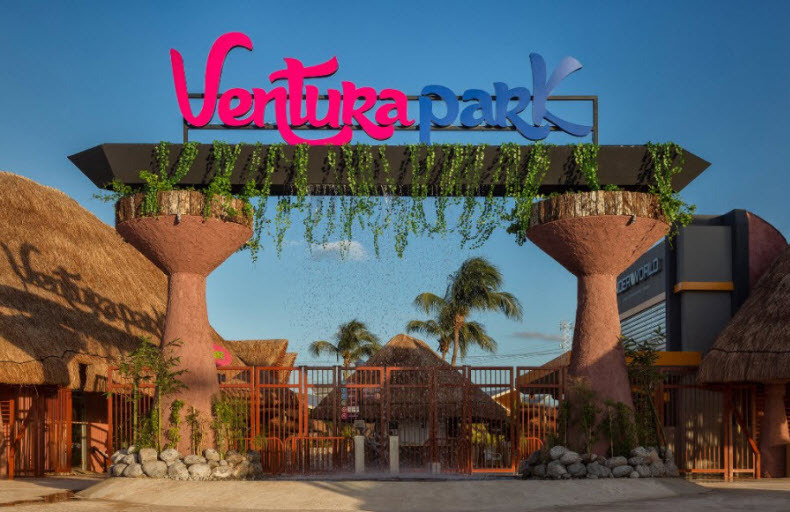 Ventura Park is split into Wet n Wild and AaahVentura. One being a water park filled with rides, wave pool, lazy river plus loads more water filled activities. The other (AaahVentura) includes zip wires, a bungee swing and a hanging aerial bridge. So much to do in one day, you'll deserve that cold cocktail by the time you get back to the hotel! Another area within the park is Fun World which is perfect for smaller family members. It has smaller rides and a playground for them to run riot in and blow off some steam. One thing you need to know about Cancun is that it has 14 miles of dreamy, powdery white sands ready and waiting for you to relax on. The top beach in Cancun has to be Playa Defines, also known as Dolphin Beach. No buildings can be found here, making it picture perfect. However if you want a mixed day of shopping and beach lazing, it's probably better to go elsewhere. It does however have a playground and a few palapas for shade. 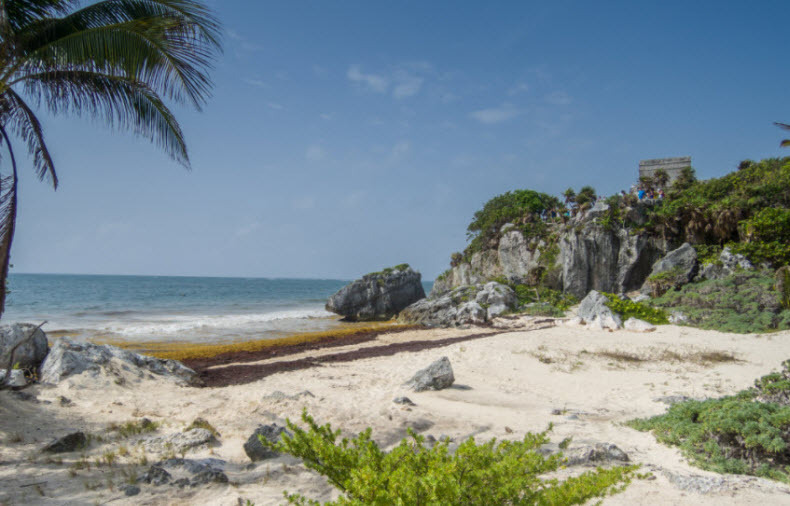 If you are happy to travel out of the Hotel Zone, Tulum Beach is a must. Stars maybe spotted here as the elite of New York Fashionista's and Hollywoods finest have started visiting this gorgeously bohemian beach. One thing I love to do whilst visiting the beach is finding a spot where I can enjoy delicious food and drinks. 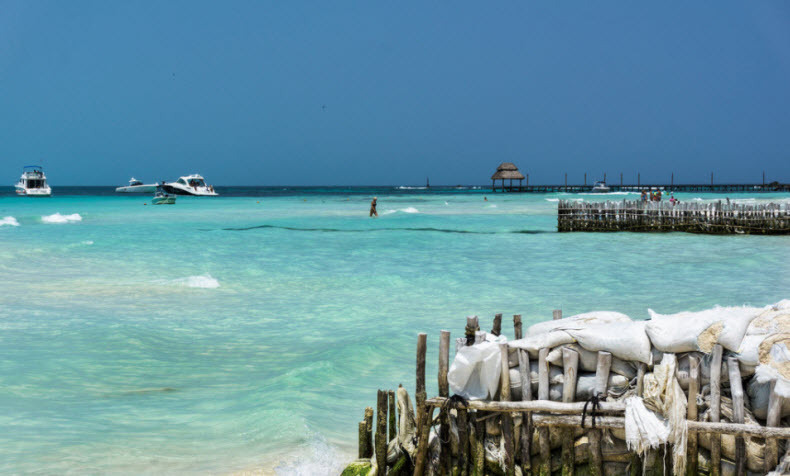 If you're the same, a trip to Isla Mujeres is for you. There are many beach clubs ready for you to enjoy along with delicious foods and shaded areas. The ocean here is also nice and calm, as its location isn't exposed to the open ocean. A great beach for the family. 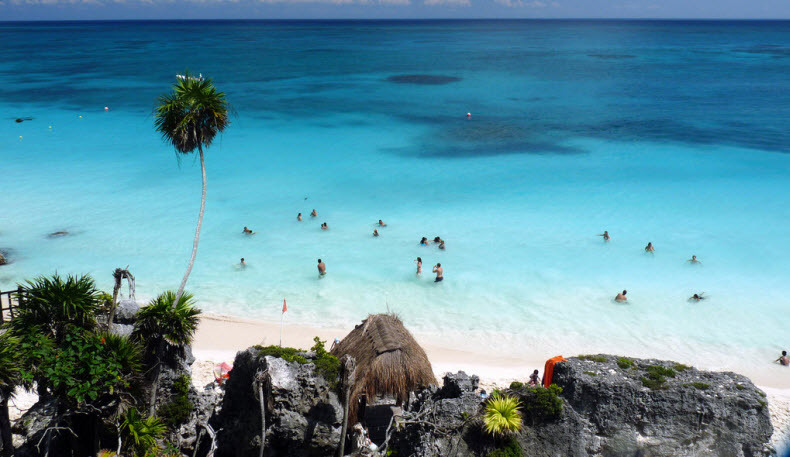 Tulum is a great place to visit when staying in Cancun. There are so many fascinating hot spots including Mayan ruins, the Gran Cenote, where you can snorkel in the limestone sinkhole and Paradise Beach. If you are the kind of family who loves a show, The Pirate Ship Jolly Roger is the show for you. Modelled on Columbus' original ship to America, it includes a free bar with a delicious dinner. Watch in awe as they entertain with clashing sword fights and swing from ropes whilst firing canons and dodging exploding gun powder. So much action on one boat! The Xenotes Oasis Maya Tour is a day packed full of fun and adventure. You will be picked up at your hotel and taken to the four cenotes in the jungle. 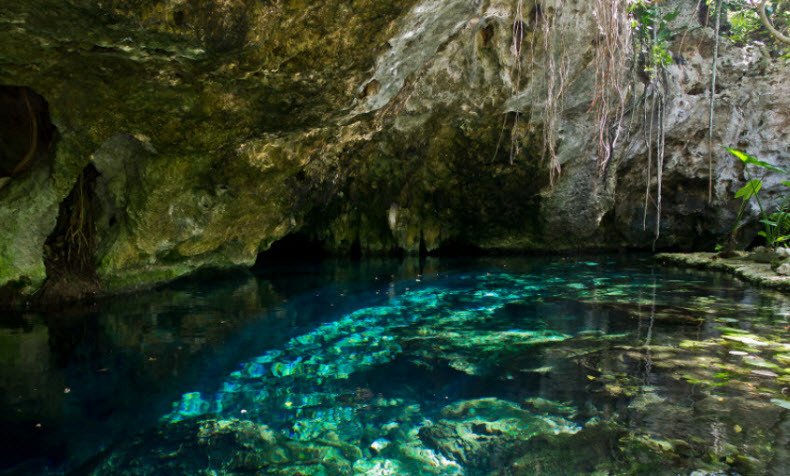 Here you will spend the day zip lining into clear waters, kayaking around caves and exploring exotic vegetation. Educational and action packed, what more could you want from a day out! All of these days out can be booked via your TUI Rep when you first get to the hotel, they will have loads of other fantastic ideas ready for you to choose from. Cancun, Where to Go Out? Cancun is known for its nightlife. The vibrant bars and exciting clubs are perfect for letting your hair down and dancing the night away. There are a few must to go places during your stay if you are looking for a few beverages. 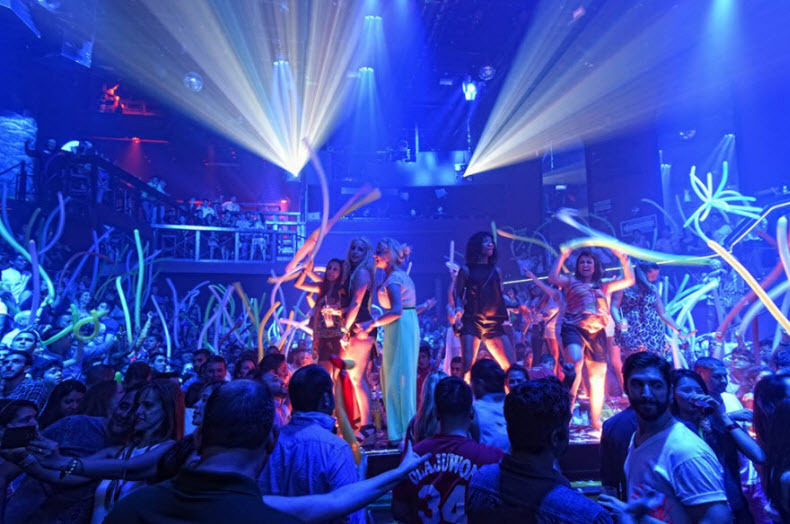 Coco Bongo is voted number 1 by Trip Advisor, this pulse-pumping club is filled with all the hottest tracks and guarantees a good night of fun. Senor Frog's is a must go to bar in Cancun. If you have visited one of the bars anywhere else in the world, you know all rules go out the window. Sing and dance until close and enjoy the laid back nature of this no rules apply bar. Why visit Cancun with the family? If there is one thing I can say about Cancun, it's that there are so many possibilities for a family holiday. You're not limited to it being just a beach holiday, or just shopping holiday. You can mix up your days with beach lazing, shopping, action packed adventure and exploring. The gorgeous weather lends itself to warming up our cold English bones and restoring some of that happiness generated from the vitamin D.
It really has something for everyone, making sure visitors of all ages will enjoy their week or 2 in this gorgeous location. Just do me one favour... don't forget the sun cream!